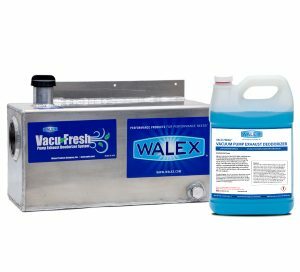 Bio-Active Grease Trap Treatment Super Concentrate | Walex Products Company, Inc. 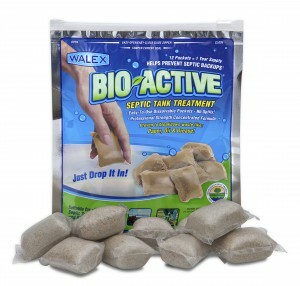 This product is based on a select combination of natural soil bacteria in spore form or in stabilized vegetative states. 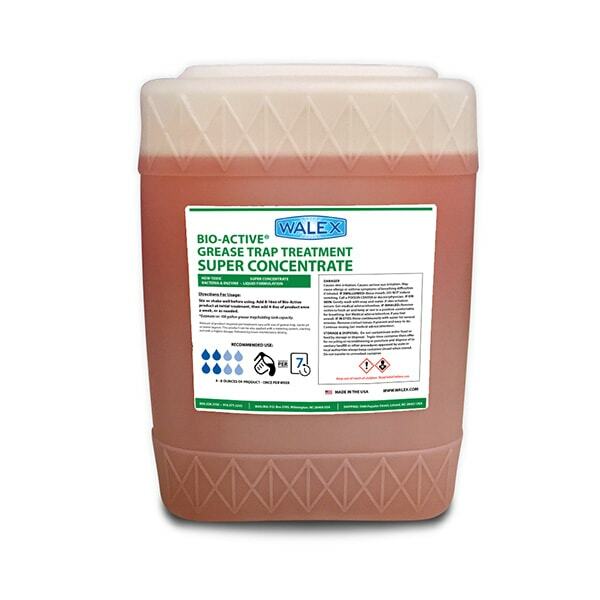 Aerobic as well as anaerobic bacterial species included in the formula. Bacteria usually require a few days to activate and adjust to the new environment. Once established the bacterial will carry out the work effectively to completion. The Bio-Active product is formulated with a light fragrance. Add 225-450ml (8-16oz) of Bio-Active product at initial treatment, then add 100-225g (4-8oz) of product once a week, or as needed. 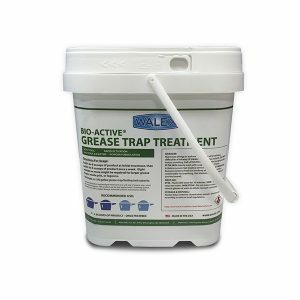 Amount of product required per treatment vary with size of grease-trap, waste pit or waste lagoon. This product can be also applied with a metering system, starting out with a higher dosage, followed by lower maintenance dosing.